Different concept cafés have been sprouting up left and right around the world, and represent a great way for business owners to infuse casual dining with fresh ideas. Some feature pop-culture characters and elements, while others are centered around objects or time periods, even being a spy, among other novelties. Many Chicago restaurants even choose to center their menu entirely to a particular kind of food (Ghirardelli Ice Cream & Chocolate Cafe, anyone?). Of course, Chicago, as a food-crazed city, isn&apos;t about to get left behind. Here are a few of Chicago’s new concept cafés we’re especially excited about, each with a sweet twist. 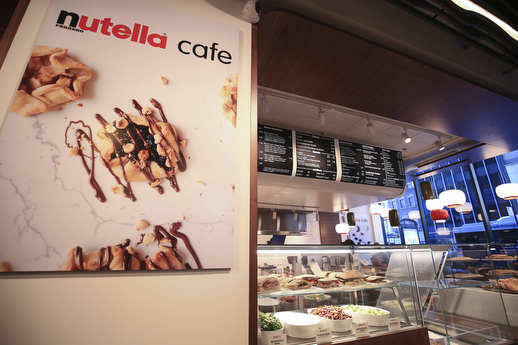 The world’s first Nutella Cafe opened on Chicago’s Michigan Avenue on May 31, 2017, to hordes of Chicagoans lining up for a host of both sweet and savory options featuring their favorite hazelnut spread. Although the Ferrero brand that owns and operates the café has set up several pop-ups around the world, this is the brand’s first stand-alone café. The company went through great lengths to make the café as Nutella-themed as possible: patrons go through a Nutella-shaped door, and lighting fixtures are shaped as hazelnut flowers to illuminate what everyone came here for: the food. Fans can expect all-day dishes made with both Nutella and one of its raw ingredients, hazelnut. One dish features panini and chopped hazelnuts with ham from Piedmont, the same region Nutella came from, but there are also Nutella staples such as crepes, waffles,and pancakes. After a successful Kickstarter campaign, the previously online-only business finally opened its doors to the public on July 1, 2017. 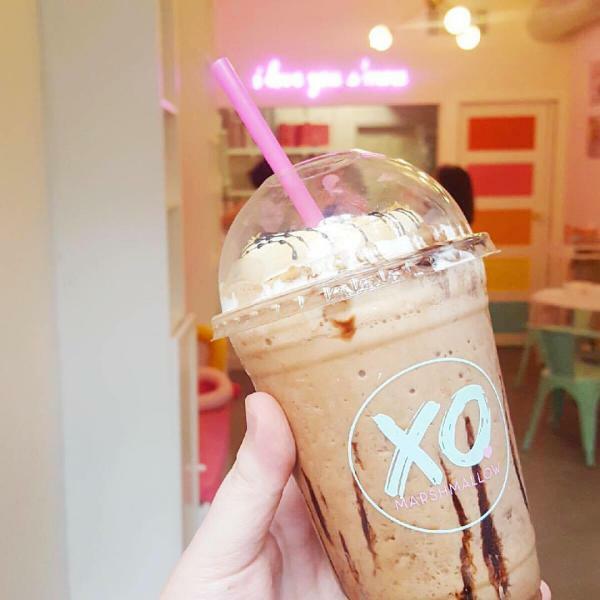 XO Marshmallow, Chicago’s first marshmallow-centric café, has a Wonderland whimsical feel about it, and features beautiful pastel interiors that imbue positive messages. Basically, everything from the interior to the food is Insta-worthy. The café is a half-espresso, half-marshmallow spot, with coffee coming from Two Brothers Coffee Roasters. The XO Marshmallow menu features favorites such as s’mores and whoopie pies, but you can also grab packs of their famous gluten-free marshmallows. Flavors include specialty tastes of Kahlua, strawberry and Nutella. 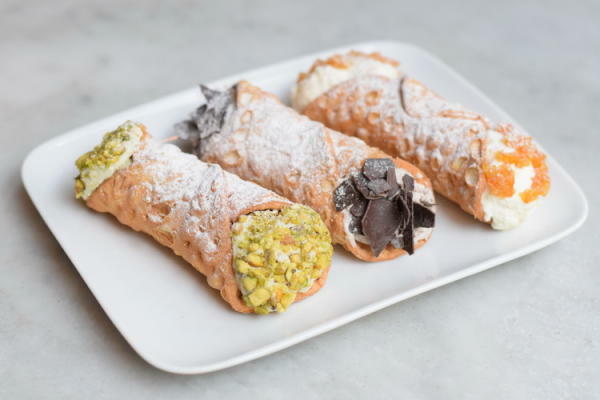 Chicagoans can now get involved in the process of creating their favorite cannoli at Eataly. The Italian tubular pastry filled with ricotta cheese and filled with nuts or chocolate is prepared fresh in front of you at Chef Mario Batali’s Italian market spot. Each month, different chefs take over the cannoli bar. Mindy Segal (Mindy’s Hot Chocolate) and Alliance Bakery’s Peter Rios take over for the month of August. Chef collaborations feature such fillings as mint chocolate chip cookie dough and chocolate and honey with sesame seeds in addition to flavors that include candied orange, pistachio and tiramisu. Have you checked out any of Chicago’s new concept cafés? What did you think? Tweet at @ChooseChicago, and we’ll share our favorites. Also to check out... the "cat cafe", formally known as Tree House’s Purrfect Roast Catfé, the West Loop&apos;s Polenta Bar and the just-opened Heritage Restaurant & Caviar Bar.